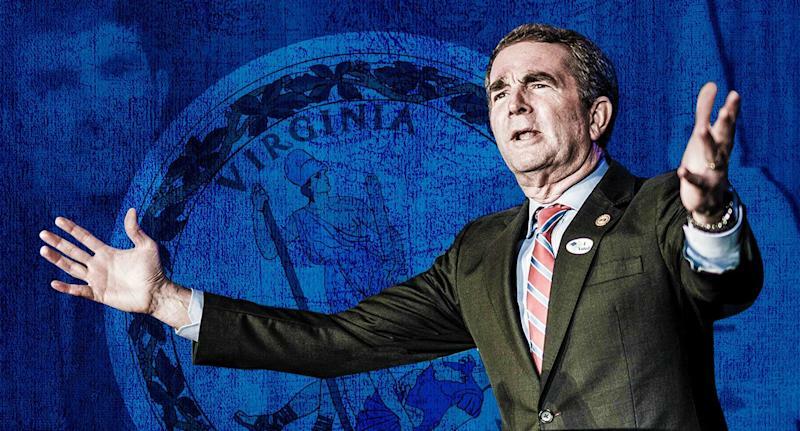 When Ralph Northam was elected Virginia’s governor a little over a year ago, it marked the first time in almost two decades that the state had a chief executive who was actually from the old commonwealth. 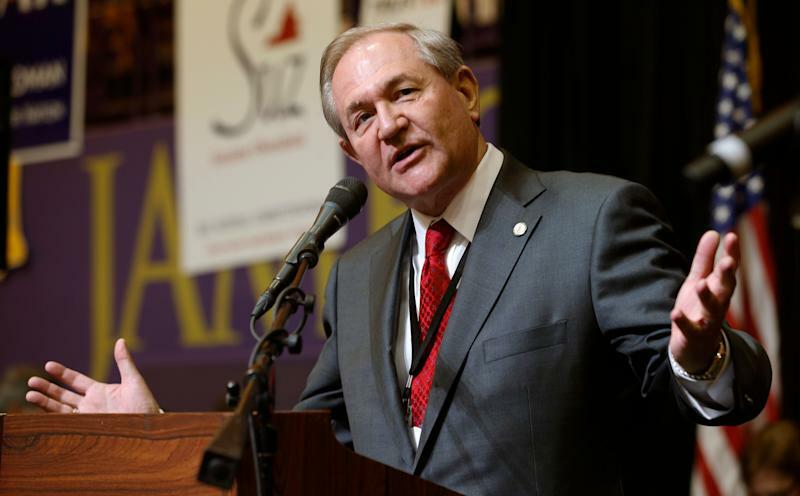 Between the last Southern governor, Jim Gilmore, and Northam, Virginia has undergone a massive demographic change. Its rural, whiter southern portions have steadily decreased in population. And the northern Virginia suburbs have exploded with rising numbers of minorities and immigrants, changing the state’s identity and political outlook. The Virginia Democratic party has risen on this wave of diversity since Mark Warner’s election as governor in 2001, as has the national party. The state organization has been regarded as one of the strongest in the nation of either party, due in part to the successful governorships of Mark Warner and Tim Kaine, both of whom are now in the U.S. Senate. At the national level, Virginia has voted Democrat in the last three presidential elections after going Republican for 10 straight presidential elections previous to that. But suddenly Virginia Democrats are in disarray over allegations of racism against the current governor, and of their attorney general, Mark Herring. 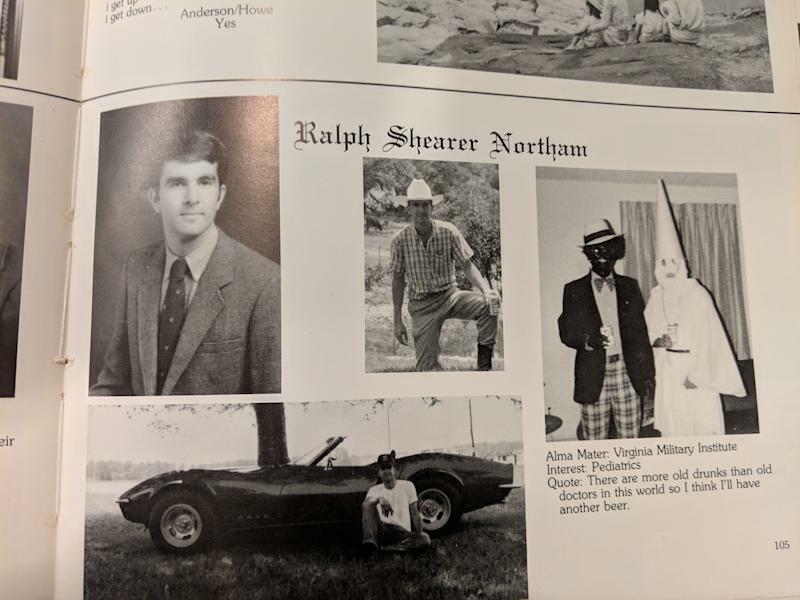 Northam is resisting calls to resign for photos in his medical school yearbook showing one man in blackface and another in the white robes of the Ku Klux Klan. The governor initially said he was in the photo, then shortly after claimed he was not, but also admitted he had worn blackface in his mid-20s. Herring, who went to college at the University of Virginia, admitted to wearing blackface during those years. For decades in Virginia and across the South, casual racism such as wearing blackface provoked laughter rather than outrage. The Confederate flag was “everywhere” into the 1980s and early 1990s, according to one Virginia Republican operative with deep experience across multiple elections, who asked not to be identified. 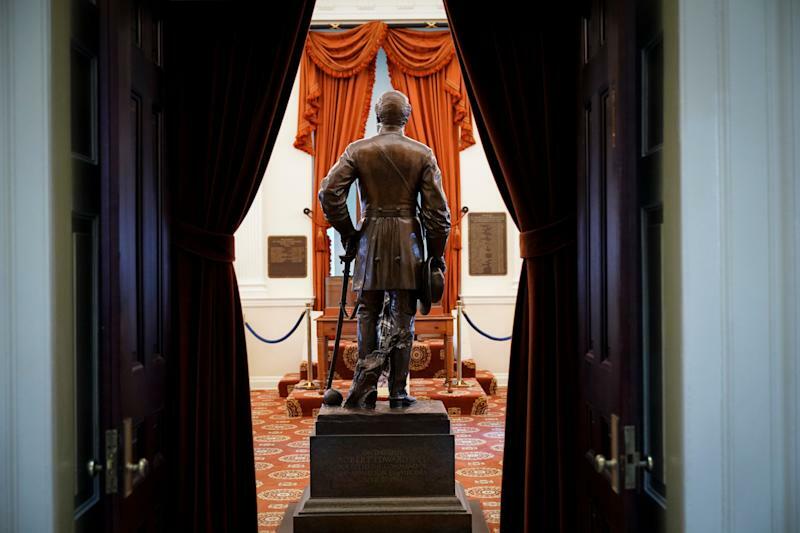 Virginia’s collision of a racist past with one of the most rapidly diversifying state populations in the country is a reckoning avoided in part by a succession of governors who did not grow up steeped in Confederate-influenced culture. Since Gilmore, a Republican born and raised in Richmond, every Virginia governor but one has grown up in another state. The one governor who had spent much of his childhood in Virginia, Republican Bob McDonnell, was born in Philadelphia to a military family that traveled for part of his childhood and then spent the rest of it in the suburbs outside Washington, D.C. The first men and women enslaved and brought to America arrived in Virginia, at Jamestown, exactly 400 years ago this August. The highest number of enslaved people were always in Virginia — by a wide margin — from 1790 to 1860, according to Census data. Richmond was the capitol of the Confederacy for most of the Civil War. To this day, Virginia — not Mississippi or South Carolina or Georgia or Alabama — is the state with the most monuments, statues and other markers dedicated to the Confederate cause. Most of these monuments were erected decades after the Civil War to reassert white supremacy, according to an exhaustive report by the Southern Poverty Law Center. When the Supreme Court ordered public schools to be racially integrated in 1954, Virginia lawmakers led by Sen. Harry F. Byrd Sr. launched what became known as a “massive resistance” to mixing white and black children in taxpayer-funded schools. This resistance lasted through the 1950s and into the ’60s. The commonwealth is a far different state now. Since 2000, the white population in the state has dropped from 70 percent to 62 percent, while the Hispanic population has gone from 5 percent to 9 percent of the state, according to Hamilton Lombard at the University of Virginia’s Weldon Cooper Center for Public Service. The foreign-born population in Virginia has risen from 8 percent to 13 percent over that same period, according to Lombard’s data. Southern Virginia, meanwhile, has lost population over the past decade, Lombard said. Jobs are harder and harder to come by in those parts of the state, and so many younger people leave. The Democratic party nationally, meanwhile, has become increasingly less tolerant of public figures’ missteps on race or gender. Northam’s response to the emergence of his yearbook photo provoked a massive backlash, which has only been blunted somewhat by the revelation that Herring, who is second in line for the governorship, also wore blackface as a young man, and by sexual assault allegations against Lt. Gov. Justin Fairfax. Northam’s bumbling response to the yearbook photo was indicative of his background in the Virginia of the Old South, but also of his lack of political experience. Northam was a U.S. Army officer and pediatric neurologist for much of his life and didn’t enter politics until 2007, when he was elected to the state Senate. He won the lieutenant governor position in 2013 and his election as governor in 2017 was driven by an anti-Trump wave in the commonwealth. During that campaign, it emerged that he had voted for Republican George W. Bush for president in 2000 and 2004. The shockwaves going through Virginia are an overdue accounting of the state’s past at a time when Democrats are targeting institutional racism.